Wow. I can’t believe I’m already here. Today’s my 50th recipe post, excluding my travel logs from Japan over the summer. Before I go on to the recipe for today, thank y’all so much for reading. I’m excited to see where the next 50 posts takes me. 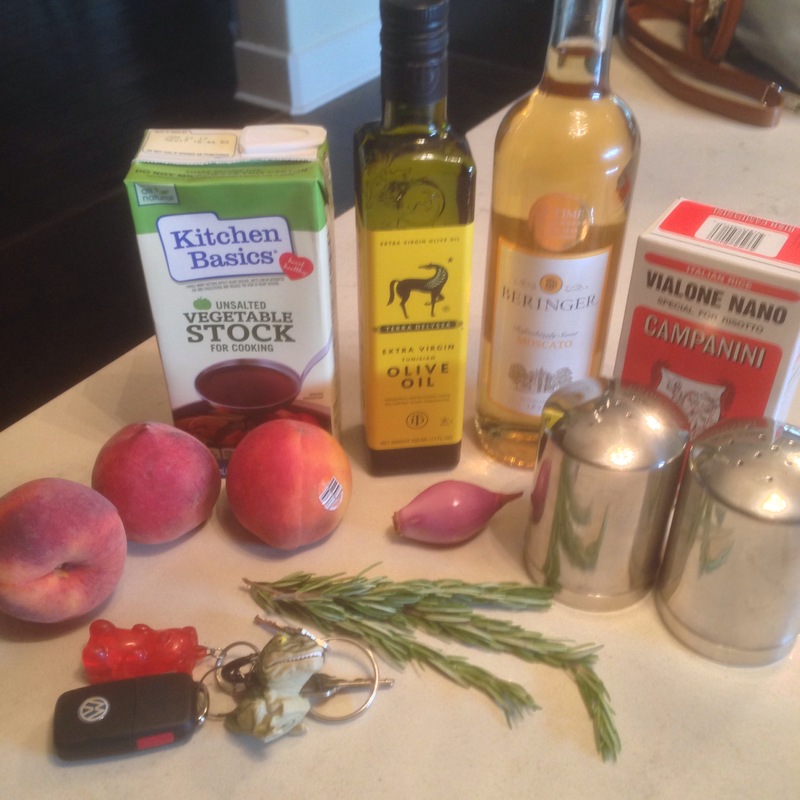 Today’s recipe is courtesy of my friend Emma, who picked it up while staying with a host family in Italy over the summer. 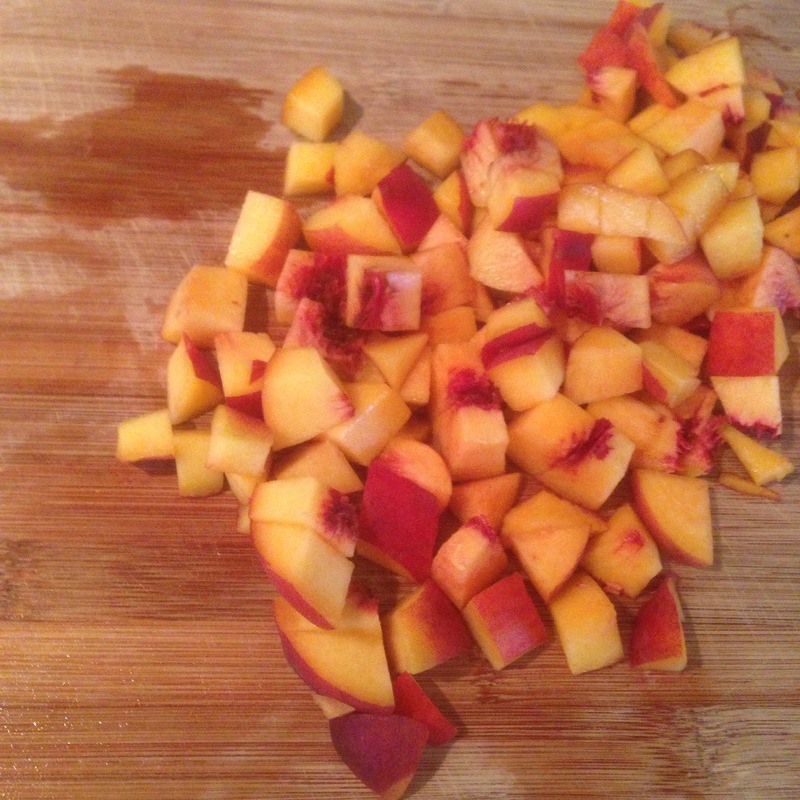 Start by chopping your shallot and 2 of your peaches. It’s fine to leave the skins on the peaches for this. Pour some olive oil into a large saucepan and begin cooking your shallot. Once slightly tender, as your peaches, smushing lightly with a wooden spoon as you cook. This should last about two minutes. Add in 2 cups of risotto rice and toast for two minutes. Stir in your cup of wine, mixing constantly as it reduces. When mostly absorbed, add in your vegetable broth, season with salt and pepper, and leave to cook for about 10 to 15 minutes, stirring and checking consistency as you go. Add about a tablespoon of rosemary. When it’s slightly thick and your rice is fully cooked, you’re done! This recipe is so good. 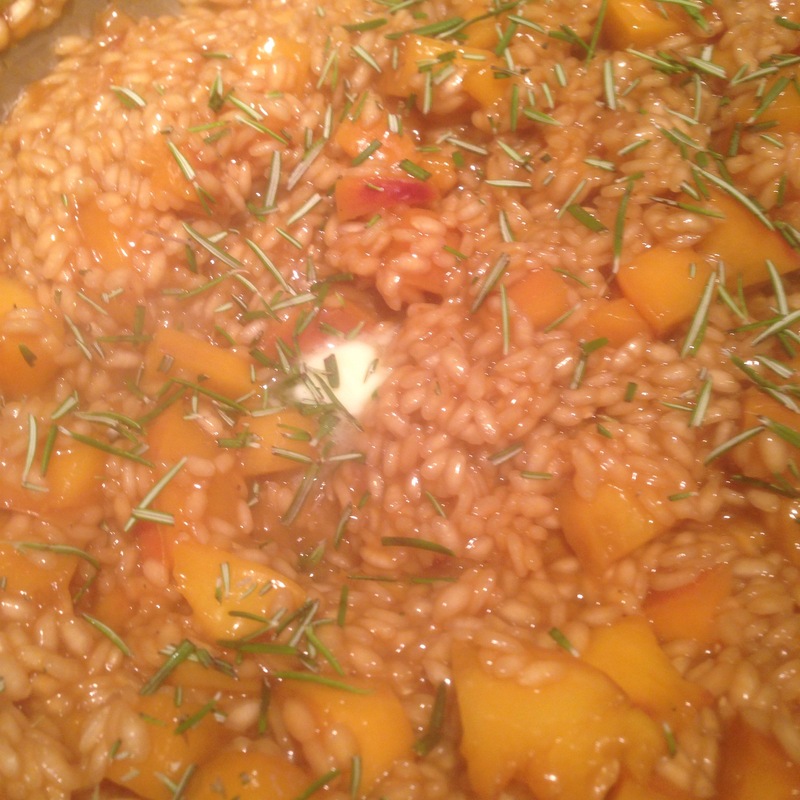 It’s rich and hearty and I love the unexpected contrast of the cooked peach with the savory risotto. Thanks to Emma for sharing the recipe and cooking with me! Previous Previous post: Day 49: Trés Leches Cake! 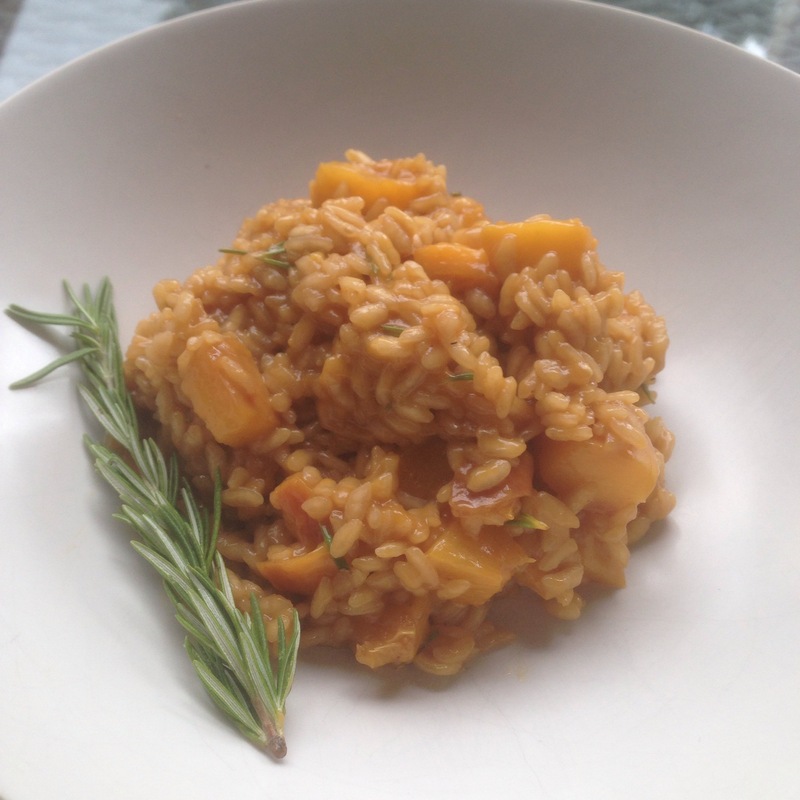 Wow I never thought of peach risotto before, it sounds great!